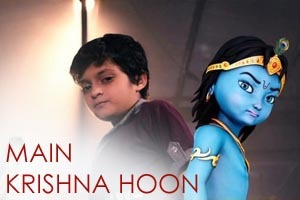 Lyrics Of Main Krishna Hoon (Title Song) From Movie - Main Krishna Hoon (2012): A Title song sung by Preeti and Pinky Featuring Namit Shah. The Video of this song is available on Youtube at the official Channel Cinecurry. The Video is of 2 minutes and 35 seconds duration. Lyrics of "Main Krishna Hoon (Title Song)"
Lyrics in Hindi (Unicode) of "मैं कृष्णा हू (टाइटल सोंग)"
The similar text of the song fits perfectly into the general plot. Their harmonious interaction contributes to the creation of a special atmosphere.